Apply at Hartselle Municipal Building 200 Sparkman St. NW, Hartselle, AL 35640 Monday – Friday between the hours of 7:30 A.M. to 4:30 P.M.
All applications with a copy of CDL Driver’s License must be received by April 15, 2019 at 4:00 pm. APOST Certification preferred but not required. Ability to work overtime, nonstandard hours, weekends and holidays. A background check, written exam, polygraph exam, physical, drug test and a physical agility test must be passed before employment. Monday/Friday between the hours of 7:30 A.M./4:00 P.M.
Hartselle Library has received a limited supply of the following tax forms and instruction booklets. BASEBALL AND T-BALL REGISTRATION -You may register online January 15 through February 16 at hartselledixieyouthbaseball.siplay.com . If you are unable to register online, you may register at the live registration at the civic center on February 12 from 6-8pm. The fee is $50 for t-ball (ages 3-first year 5 yr old) and $75 for ages 5-14. There are family discounts available to those registering more than one child. SOFTBALL REGISTRATION -Softball registration will be January 30, February 6, 13, 20 and 22 from 6-8pm at the civic center. The fee is $100 per player. Players must be 5 by January 1, 2018. SHINING STAR BASKETBALL – The Shining Star League showcases athletes with special needs. We encourage everyone to stop in to watch these amazing athletes in action. There is no fee to attend. Games will be played on Thursday evenings beginning at 5:30PM beginning February 8 and ending March 15, 2018. YOGA – Yoga combines physical exercises, mental meditation, and breathing techniques to strengthen the muscles and relieve stress. Classes will be on Thursday mornings at 8am beginning February 1, 2018. The monthly fee is $20. There is no registration required but we do ask that you bring a yoga mat for floor exercises. ADULT COED VOLLEYBALL -This league is designed with second and third shift workers in mind. Games will be played Wednesday mornings beginning February 21 through March 28. The first game will begin at 9AM. This is a co-ed league. The fee is $150 per team. For more information, please contact the civic center. MAKE AND TAKE CRAFT NIGHT – Join us for a night of creativity and fun. Each month we will do a different type project. Craft nights begin at 6PM on February 8, March 8 and April 12. We plan to paint your choice of a mason jar or welcome door hanger in February, create a porch sign in March and paint mason jars and make flowers in April. The fee will vary per class. 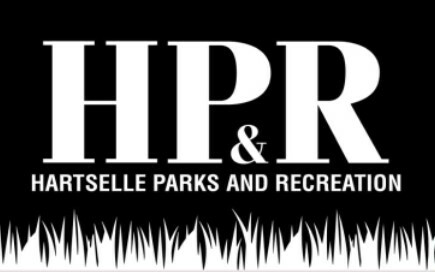 Like our Hartselle Parks and Recreation Facebook Page for more details. YOUTH FLAG FOOTBALL -The inaugural season of youth coed flag football will begin in March. This league is for boys and girls age 5-13. Games will be played at the youth football field at the Grady and Margie Long Sports Complex. The fee is $40 per player. You may register at the civic center no later than February 12. 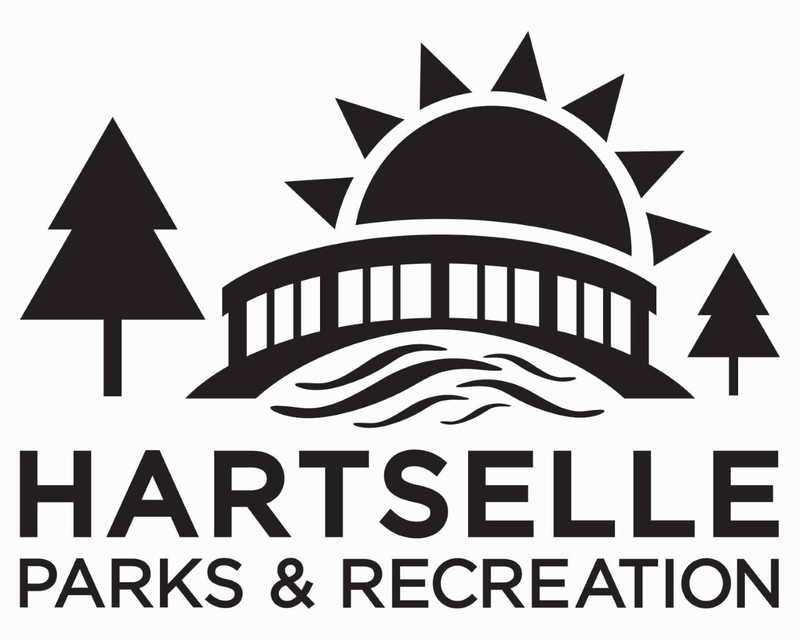 Like our Hartselle Parks and Recreation Facebook Page and watch for more details. SOUTHERN MARKET DAYS -Southern Market Days “Farm Fresh” Vintage Market will have a wide variety of unique, vintage goods as well as handmade items and boutique clothing. This event will be March 2-4 from 10am-4pm each day. The daily admission in is $5 per person. If you would like to be a vendor, please call 256-773-2581 for more information. Be sure to like our Facebook page Southern Market Days Vintage Market. POOL PASS ONE-DAY SALE – Get your 2018 season passes to the Hartselle Aquatic Center for 30% off. The ONE-DAY SALE will be Tuesday, March 13th from 8A-8P at the Civic Center. With the discount the first pass will be $70 and each additional will be $35 each IN YOUR HOUSEHOLD ONLY. Season passes will be good from May 26th until August 12th. IF we are able to open on weekends until Labor Day weekend, passes will still be honored. Pool hours will be Monday-Wednesday-Friday-Saturday 10A-6P, Tuesday-Thursday 10A-8P, Sunday 1P-6P. In addition, you can purchase your 2018 Hartselle Aquatic Center souvenir cup on this day. Prices are one cup for $15 or 2 cups for $25. The 2018 souvenir cup gets you free refills all summer! After this sale, there will be no discounts on multiple cups. RUMMAGE SALE -Reserve your spot now for this one-day rummage sale. Sellers will be setting up in the parking lot directly in front of the civic center. Spaces will only be $10 each. The sale will be April 7 from 8am-1pm. If you are interested in selling, please pay and register no later than March 31. SHINING STAR PAGEANT -This year’s Shining Star Pageant will be Saturday, April 28 at 10AM at the civic center. This pageant is for males and females of all ages with special needs. There is no fee for contestants or for spectators. If you know someone that might be interested in participating, please give us a call. All contestants must register no later than April 20. AEROBICS -Aerobics classes are Monday, Wednesday and Friday from 8-9am in the back gym at the civic center. The fee is $5 per class or $25 per month. The first class is free! Classes are suitable for all ages and fitness levels. BATON – Baton classes meet every Thursday afternoon. Each skill level will meet at different times beginning at 3:30PM. The fee is $50 per month. Kim Robertson is the instructor this class. POOL PARTY -We have already started accepting reservations for parties at the aquatic center for the summer. If you are interested in having a party at Hartselle Aquatic Center, please call Lacy at 256-773-2581 for more details. BALLET -The Dale Serrano Studio of Performing Arts instructors are at the civic center on Monday and Thursday afternoon teaching boys and girls age 2 an older the art of dance. For information on times and fees, please call the studio office at 205-822-6378.
Letters to Santa- This is the perfect opportunity to get your letter to Santa! We have a direct connection with the big guy! We will forward your letter to Santa and he will personally respond. (Please enclose a stamp with your letter.) All letters are due by December 8 to allow Santa time to answer. Teachers, if you plan to do this as a class project, please have the letters to the civic center by December 4. Night at the Depot- All aboard the Polar Express!! Join us on December 1 at 6 pm at the historic Hartselle Train Depot. Children ages 5-10 are encouraged to wear your favorite pajamas while you enjoy viewing a Christmas favorite, The Polar Express. Tickets are $10 each and must be purchased at the civic center no later than November 27. Ticket prices include a meal, snacks and a visit from a special guest. Parents are encouraged to drop off the kids and enjoy the evening. Several downtown merchants and restaurants are offering extended hours on this date for your shopping pleasure! Shining Stars Basketball League- Athletes, with special needs that are ages 8 and older are invited to register from December 4-January 19 at the civic center. There is no fee for the athletes. Games will be played on Thursdays at 5:30 pm from February 8-March 15. All games will be played on half court with an 8 foot goal. Volunteer registration will be held on the same dates. There is a $15 fee for volunteers. If your company/organization is interested in sponsoring a team please contact the civic center at 256-773-2581. Breakfast with Santa – We have a festive morning planned with Santa on December 9 at 9 am at The Depot. The event is open to boys and girls ages 12 and under. The fee is $10 per child and includes breakfast provided by Bentley’s. You must register and pay at the civic center no later than December 4. Pool Pass Sale – We are having a one day pool pass sale on December 12 from 8 AM-8 PM. If you’d like to give the gift of fun this year, here’s your chance! We are offering season passes for the Hartselle Aquatic Center at a discounted rate of $70 for one and $35 for each additional in the household. We will have gift certificates available. The offices at Hartselle City Hall, William Bradford Huie Library, Sparkman Civic Center and Hartselle Public Works will be closed July 3 and July 4 for the Independence Day holiday. The Aquatic Center and Splash Pad will be open normal hours both days.